Meet Mike Donnelly (Chris Farley). He's one lovable, hilarious accident waiting to happen. Dedicated to helping his big brother Al (Tim Matheson) win the race for Washington State governor, he turns every opportunity for votes into an embarrassing disaster. Campaign aide and super slacker Steven Dodds (David Spade) volunteers to baby-sit Mike. Big mistake! When Mike discovers that the incumbent governor is a crook, he dives headfirst into a whole new level of well-intended destruction. 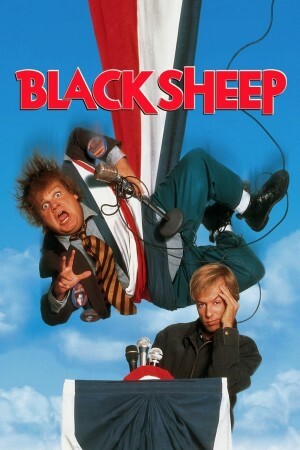 Black Sheep is "a crowd-pleaser directed with maximum energy!" (Kevin Thomas, Los Angeles Times).